The kitchen is fully equipped with dishes, coffee maker, kettle, toaster, egg cooker. There is also a dishwasher in the kitchen. Bedding, dishes and towels are also provided. Electricity and heating costs included. Breakfast service possible. The stop for the bus (Regiotax) is dirket front of our house. The exact arrival and departure times you are welcome to inquire by e-mail. The village center is within min. 7 to reach by car. Great dream ski Hochzillertal / joining with approximately 171 kilometers of pistes 3,5 km from our house. From Stummerberg from a vast mountain hiking area extends with many hiking trails. 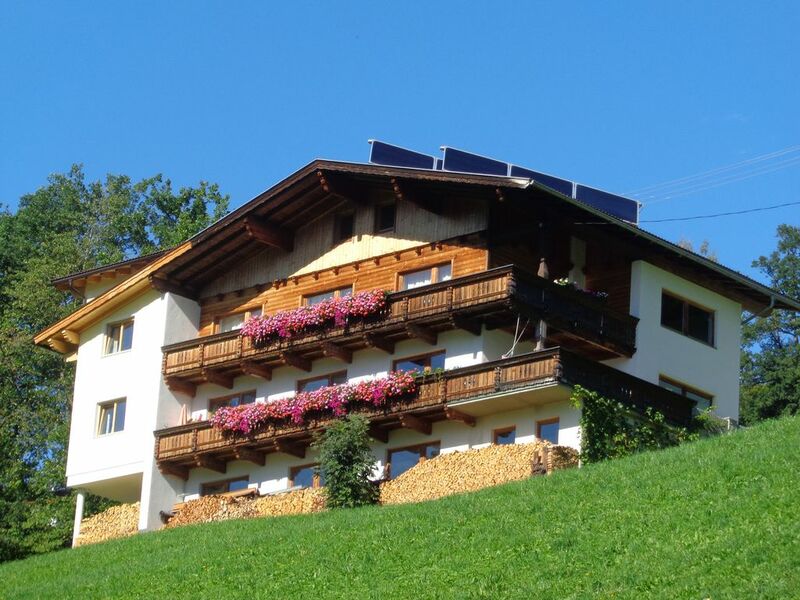 From our house you can reach in about 20 minutes, for example the romantic way on March Bach to the alpine meadows and pastures and the surrounding peaks -. A paradise for hikers. All is according the description, and owner very service minded. Easy to acces the main lift by car. Remember chains for wheels in wintertime. Wir hatten eine tolle Zeit bei Familie Dengg, waren zum Ski-Urlaub dort und uns hat es an nichts gefehlt! Frau Dengg hat uns sogar mit frischem Kaffeepulver ausgeholfen, dass wir vergessen hatten, im Supermarkt zu kaufen, der unten im Dorf ist. Super nett, toller Ausblick vom Balkon, wir haben uns rundum wohl gefühlt und kommen gern wieder!!! Ski: Hochzillertal / Kaltenbach ski area by car in about 6 min. to reach. Umliegede ski areas Zillertal Arena and Spieljoch - Add about 15 minutes away by car. Use of Linienbuses (Regiotax). Stop in front of our house.